“I shall build an Arpicembalo!” stated Cristofori excitedly. The year was 1698 and his new invention literally translated means “harp-harpsichord”. It would be a new instrument that would sound like a harp and have keys like a harpsichord. Harpsichords have plucked strings but this new invention would have mallets that strike the strings. It was described in the inventory of the Grand Prince Ferdinand de Medici, his employer as ‘an instrument that could produce both soft and loud tones with 2 sets of strings at unison pitch having a cypress soundboard’. Needless to say, the Arpicembalo name didn’t last but rather, the function described the instrument. It would forever be known as a piano-forte or a soft-loud. Over time this truncated to simply, the Piano. And that’s exactly what he did. The only problem was he needed to find a way to not only strike the string but also release the mallet as well. If this hammer strikes the string and then rests against it for any length of time, it subsequently blocks and mutes the vibration of the note. “What I need is a hammer escape so that when I play the note, the hammer is released from the string.” Cristofori devised what is known as the Single Escapement Piano Action. 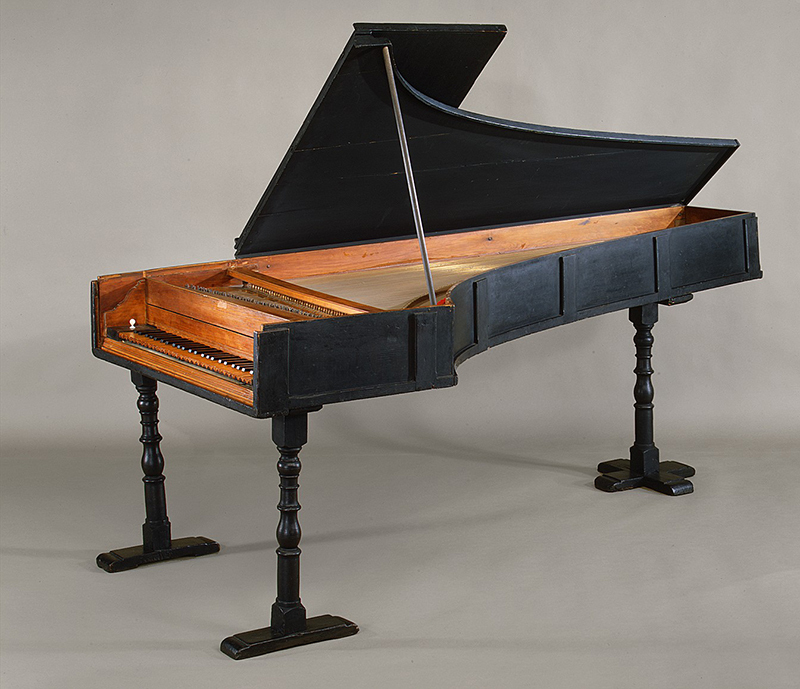 According to the Metropolitan Museum, Cristofori’s hammer mechanism is so well designed and made that no other of comparable sensitivity and reliability was devised for another seventy-five years. It’s now 1820 and Sébastien Érard of Érard Piano has developed a more intuitive piano action. After 100 years of the single escapement action, refined repetition was becoming more desirable for greater expression. “While I respect the work of Cristofori”, thought Erard, “the action is primitive and doesn’t allow for complete control. For example, when I press a key down, I must fully lift up the key before it resets. This results in laborious playing.” Erard set to work and patented what would become the predecessor of the modern piano action in 1821, known as the double escapement action. Not only did his action facilitate greater control, allowing the pianist to repeat a note very quickly, but his design also had greater power as well. 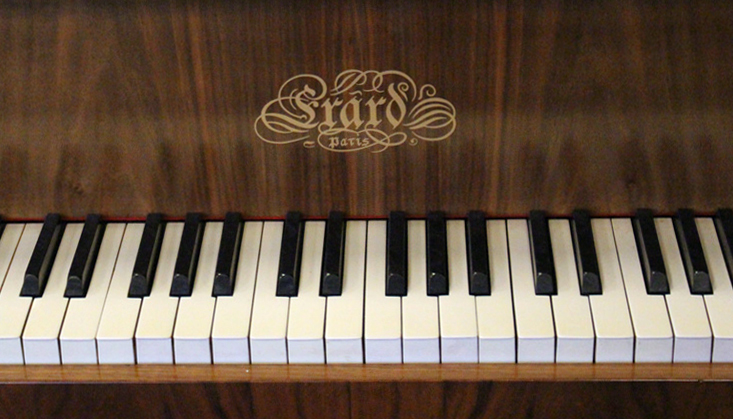 This power and control of the Erard action brought about a much wider dynamic range. Today, nearly 200 years have passed since Érard developed the modern action, and about 320 years since Cristofori’s piano. 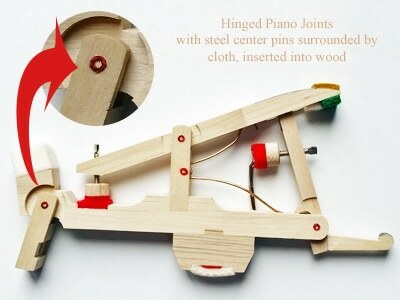 Could you imagine not only building piano parts by hand but also building without any sort of power tools? This brings into perspective Cristofori’s 2000-part action. The modern piano action contains more than 4000 parts and as we know from the Renner interview, the right parts can only be achieved from the right tools. Fast forward to the 21st century. What has changed in the world of modern manufacturing? One word: automation. Throughout the 1800’s until the late 1900’s, piano actions were planed and cut by machine but required a lot of hands-on guidance to build actions manually. Today with computer-controlled accuracy, parts are now profiled by machine and a large part of the assembly is also done automatically. From the factories that I have visited, this computer-controlled manufacturing has distinct advantages of uniformity, precision and speed. The functions of these parts have not changed over the centuries but the manufacturing has changed immeasurably. Automation has allowed for the proliferation of piano manufacturing. During Cristofori’s time, he was employed by a prince. Pianos were built for aristocracy. The average person would not have even seen a piano let alone hear one performed. Today, hundreds of thousands of pianos are built annually. With a conservative estimate of 4000 parts per piano, that could place action parts at a total of possibly 1.5 billion each year. Manufacturing just the piano actions is no small feat. 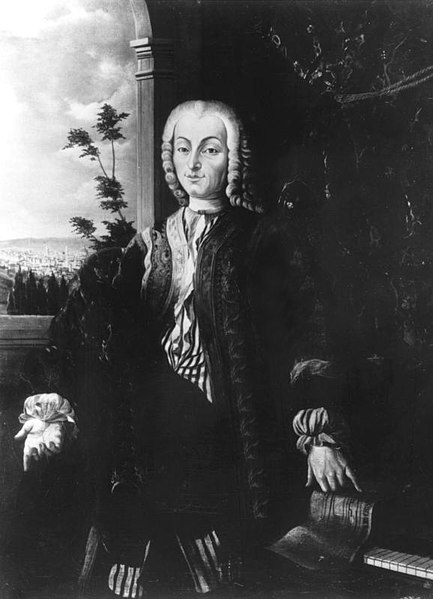 Since Cristofori’s time, the price and accessibility have changed in part due to the automation of piano parts. When researching pianos, then what are the differences in piano actions? To understand the differences in piano actions, we first need to look at the makeup of the components. Piano actions consist primarily of wood. Hornbeam and maple are used extensively for these parts. Steel is used for brackets while aluminum is often used for common rails connecting all of the parts for each of the 88 notes. Jointed parts are also made from nickel or chrome brass pins inserted into the wood and rotate quietly on cloth bushings (pictured below in red). Some companies have incorporated plastic and carbon fiber parts as well. Leather and felt are used extensively where parts would normally touch to provide cushion but also reduce noise. The physical differences of piano actions are difficult to measure. There is a distinct division between wooden actions and carbon fiber. The carbon fiber actions, however represent a very small percentage of pianos. 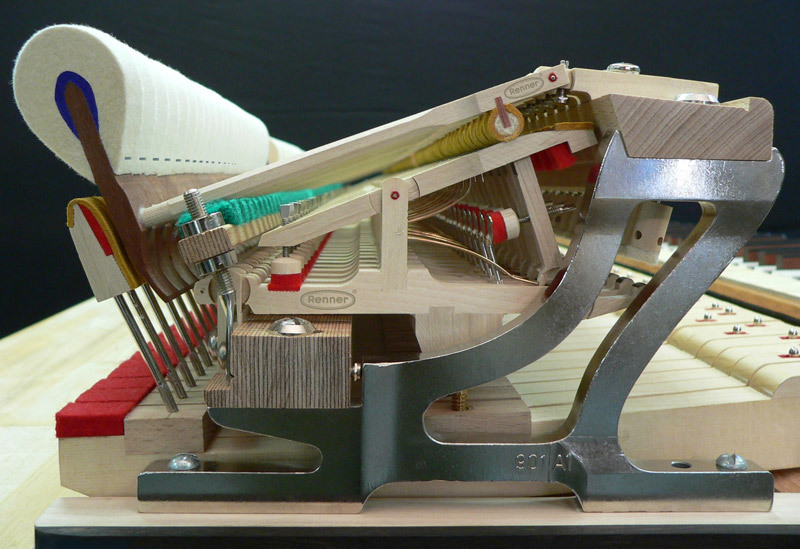 All pianos have primarily wooden parts but there are some elements that have plastic components as well. Is plastic bad? First of all, let me go on record by saying that action parts such as capstons or jacks have no bearing on the sound of the piano. Second, plastic in piano actions has been used since the 1950’s and it is used because it is strong, light-weight and consistent. Both high grade pianos as well as entry level makers have utilized plastic. Neither the use of plastic or wood are deal breakers for me. If you follow the vibration from the hammer, the majority of the energy transfers to the string. But what about the energy that travels down the hammer shank? Does it make noise? Boutique makers actually tune their hammer shanks to coincide with the pitch of the note. The connective joint of the hammer shank is the flange and all of the hammer flanges run along a common action rail. Subtle differences in wooden, aluminum or steel also contribute to overall tone. What kind of piano action makes the best piano touch? I’d like to go on a bit of a tangent and describe what piano actions are not. The keys should not feel loose nor sloppy. Neither should the touch feel heavy or laborious. Quite often these are a result of excessive or insufficient friction (yes, you can have too little friction in a piano action). Piano keys should always be quick to reset in repetition. But the magic quality of a great piano action is this: every dynamic level from soft to loud should be matched to an equivalent action intention. What I mean by that is that if I intend to play a loud section of music, the action will reply in such a way that I feel like my intention of force matches the action. Unsatisfying actions are often mismatched to the force required to play the key. Sometimes you play a key with a medium force and the piano replies with too soft or loud a response. If the keys are too light, as a performer, you feel the need to hold back from any measure of force. Alternatively, a heavy action is one where you press in and the piano feels like each motion requires significant effort. But pianos are much more complicated in the sense that they are dynamic in nature. Some pianos respond well at just one volume level where you feel comfortable playing and the resulting tone feels fine but pushed to either extreme of soft or loud playing, the action again can feel mismatched. To complicate things further, I would like the action to match not only the same force but the hammers to match the timbre as well. For example, in the lower, quieter dynamic levels, I would like the hammers to present more intimate and felty sounding tones and when I press in, the tonal quality also changes accordingly and becomes more strident and bolder. I recognize that these are big demands. And when it comes to researching pianos, these are impossible for novice players. Most often if the key makes a sound and that sound seems somewhat pleasing to the ear, the novice player will be convinced. But what about growth? What about a piano action that will match growth of the performer over time? Too often, pianos are purchased without thinking about 5 years down the road. I’ve all too often been told how a pianist has sometimes played even for a few years, then the “aha” moment happens and they realize they’ve been playing on a piano that isn’t suitable and holding them back from further advancement. First of all, let me go on record in saying that it is almost impossible to determine the quality of new action parts from visual inspection. When you open up a new piano and see the symmetry of new action parts, they all look stunning. But visual inspection doesn’t tell you a lot. In addition, it is my experience when playing the piano that you cannot determine what grade of wood, felt or cloth has been utilized for individual parts. I can’t tell you by playing that the whippen or the shank or back check are made of a certain quality. I can only tell you from the performer’s perspective that you gain an overall impression about a piano action, which is built upon three things: action design, sum total of all parts and regulation. I feel that piano actions have certainly consolidated over the last 200 years and especially in the last 30 years. Action designs have become more similar from maker to maker as there seems to be a fairly narrow range of subtle differences between action designs. Again, computer-controlled assembly has brought about precision which has narrowed the gap between actions from lower priced instruments to higher ones. As competition has increased, I believe that the standard for piano actions parts has generally increased as well. It is generally accepted that wood must be properly kiln dried and cured and that felt of a reasonable quality must be used utilized to make a decent end product. Regarding regulation, I’ve played pianos that have undergone complete transformations in the hands of a great piano technician. And when I say transformation, I mean the piano is unrecognizable to its former iteration because of small adjustments to the piano action. Each piano action is fitted with tiny adjustment screws, levers and even paper shims. A talented technician can often “smooth out” a piano action and transform it into an excellent instrument. In the end, when buying a piano, take someone along who has experience playing many pianos. Don’t just “name shop” but sit down and play without reservation or pre-conceived notions and feel the keys. At times, piano actions will be perceived a struggle, like you’re pushing it along while at other times, the keys almost fly away and feel like you’re skating on ice. Play many pianos and in doing so, take note to how each piano keyboard feels at various volume levels, trying to make it whisper. Play the piano keys from top to bottom. All 88 need to come into alignment so that when you perform a singular melody line, one note doesn’t jump out from the rest. Take note to the subtle differences in tone as you gradually change dynamic levels. The older I get, the more piano actions have become important to me. There is no greater joy than when the action is perfectly aligned and the music you wish to make becomes reality when the keys feel like an extension of your fingers. Happy playing. A special thanks to Hailun Piano for supplying the videos.